Osburn Olson Excavation and Land Development company provides the best Gearhart Oregon excavation services. As a longtime resident of the North Oregon Coast, Ryan Osburn knows how to get your project completed correctly the first time. Our company has the highest quality equipment and trained excavation professionals. Over the years we have built dozens of homes in all types of terrain. When you live on the Oregon Coast rain and wind are a huge factor to consider. In fact, this area of the country has one of the highest annual rainfall numbers, so it’s critical to plan aead of drainage. With decades of experience in construction we have learned how to properly install drainage and keep your house dry. Every year we build a large amount of custom homes for people, but we also build entire sub-divisions. At our core Osburn Olson Excavation is a Gearthart based land development and excavation company who specializes in building entire subdivisions from scratch. As you can see in the photo above, we take raw land and get it ready to build. This involves multiple steps including digging out for the foundation, utilities, and drainage. If your looking to build a custom home on the Oregon Coast it’s critical that you work with a company that has experience building in this unique environment. 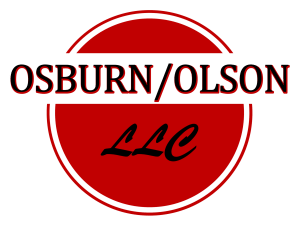 Keep up to date with our newest projects by follow Osburn Olson Excavation on Facebook. 33485 SW Old Pine Dr.